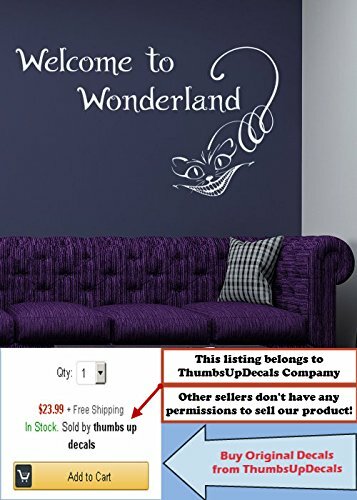 Alice in Wonderland themed vinyl wall decals. They can be applied to walls, doors, windows, cars, or any other solid,smooth or semi-textured surface. Instructions are included. The decals measure 22" X 35". Thank you for visiting our store!!! Please read the whole description about this item and feel free to contact us with any questions! Vinyl wall decals are one of the latest trends in home decor. Vinyl wall decals give the look of a hand-painted quote, saying or image without the cost, time, and permanent paint on your wall. They are easy to apply and can be easily removed without damaging your walls. Vinyl wall decals can be applied to walls, doors, windows, cars, or any other solid,smooth or semi-textured surface. Please know that while these decals are removable and will not damage your walls or windows, they are intended as a one use only item. They are not meant to be removed and reused again. PLEASE make a note about YOUR COLOR CHOICE, otherwise the showing on picture color will be shipped. Please see color chart. Size showing on the picture is little bit bigger for showing purpose !!! ATTENTION!!!! This is a product by DecorWallDecals Design. DON’T WRITE REVIEWS IF YOU BOUGHT THIS PRODUCT FROM CHINA. THIS PRODUCT IS PROPERTY OF DecorWallDecals. ALL OTHER SELLERS ARE SELLING COUNTERFEIT. Before you click Add to Cart, please check to see that it is “Sold by DecorWallDecals” and not another seller. We can’t guarantee quality of decals from other sellers. DecorWallDecals is a registered trademark and the only authorized seller of DecorWallDecals branded products. We use high quality 3M, Oracal or FDC vinyl. We don’t use cheap clear plastic. DecorWallDecals produce decals in USA and send from USA. We use high quality 3M, Oracal or FDC vinyl. We don’t use cheap clear plastic. DecorWallDecals produce decals in USA and send from USA. Made in USA. Fast shipping from USA via USPS mail. You can let us know the color after purchasing the product in the message, or we ship it in showing on picture color. 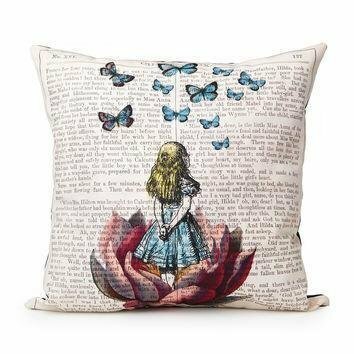 Lovely pillow case with Alice in Wonderland text print and Alice with butterflies. 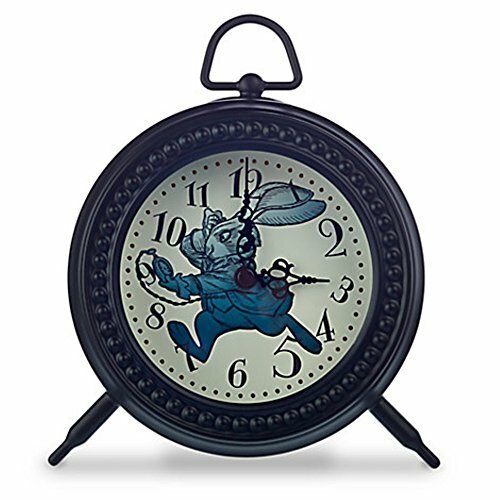 Gorgeous, detailed Alice in Wonderland cuckoo clock in the shape of the Mad Hatter’s hat. 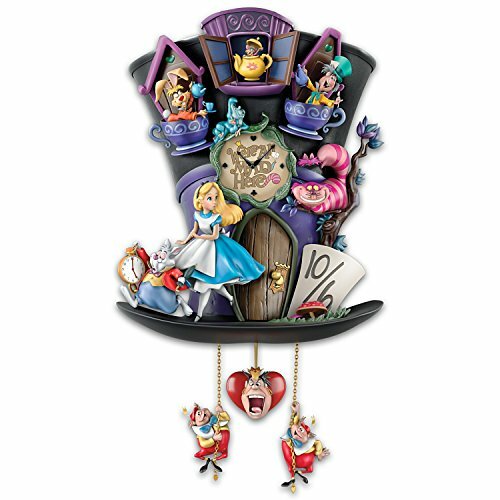 The words “We’re All Mad Here” are written on the clock face, and hidden LEDs in the hat brim illuminate glow-in-the-dark details. 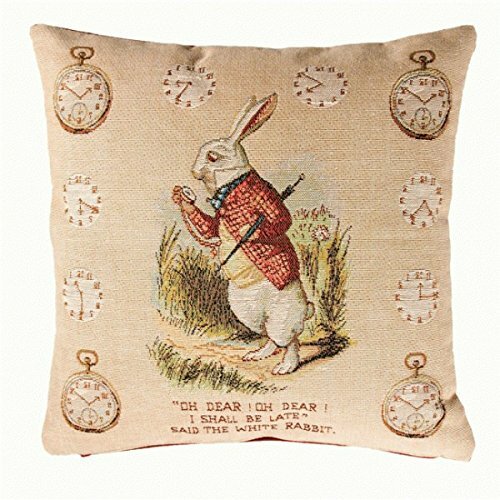 The Dormouse in a teapot emerges every hour as the cuckoo! Transform your garden into your own Wonderland with this set of statues featuring the Mad Hatter, the White Rabbit, and Alice herself.